Our ability to create value using all of the data that we had collected through HubSpot, from our marketing and sales efforts, was becoming increasingly difficult for us as an agency without the consolidation of data from all of our software integrations. HubSpot as a platform was committed to developing their integration ecosystem throughout the last few years, which has empowered us to connect information from all of the tools that we were using for our clients. These connections not only help us deploy data-driven strategies, but they also create efficiency from an operational standpoint. Instead of using 5 different softwares on 5 separate platforms to implement and report our strategies, we are able to use 5 different softwares, in sync with HubSpot and on the HubSpot platform, to run and track several campaigns. This is valuable for us and our customers. Thunderbird Senior Living is a retirement community in Glendale, Arizona and one of our long-standing clients here at Nextiny. Our overall partnership goal with Thunderbird is to continue increasing the amount of units sold in their community, while also building and nurturing a pipeline of prospects that are considering/planning to move to the community. From the start, our main challenge was to prove that our client’s target audience used the internet as part of their buying process. Even as an agency that is fully committed to the digital space, we understood the concern that our client had with regards to reaching an aging population online. This is an industry that has relied heavily on the traditional means of marketing to reach their customers, and we knew that by adding an inbound marketing approach to their new and traditional processes, we could expand and optimize the efforts they were invested in. By using HubSpot, we were able to track and report the efforts to our clients, relying on data to justify all future efforts. After working with this client for a couple of years, we were able to report on the effectiveness of many of their past marketing activities. One of their bottom of the funnel marketing events is a luncheon held on the campus of their community. We discovered through conversations with their sales team that 10% of the individuals registered to these luncheon events would eventually become customers. We saw this as an excellent opportunity for our client. Our mission was to build out a full-funnel marketing strategy that increased registrations to these luncheon events. This included content creation targeted towards their ideal personas, email nurturing campaigns to contacts in their database, Facebook Ad campaigns to target new and existing leads, and working closely with their marketing director to align marketing with sales to help optimize the success of these efforts. How could we optimize our efforts to increase registrations? And how could we empower our client to get buy-in from the sales team when these opportunities arise? First, we wanted to make sure that we were doing enough at the top of the funnel, with blog creation, PPC advertising, Facebook ads, and full-funnel value offers, helping generate a healthy amount of qualified leads to run an effective email nurturing campaign. Second, we wanted to segment their contacts as much as we could to tailor our email messaging and content offers to those identified segments. Lastly, we wanted to find ways to best optimize and automate these efforts to increase registrations. While running our campaign, we were testing a tool called Seventh Sense.. 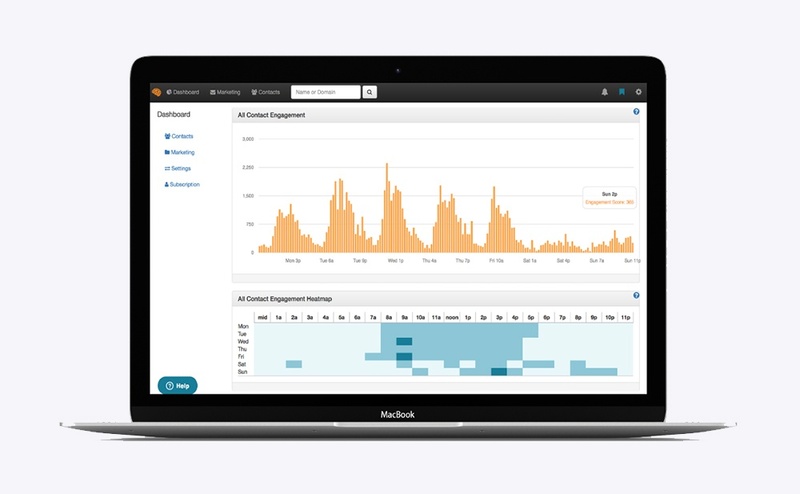 Seventh Sense is an AI software that integrates with HubSpot and allows us to gain insight into our contacts’ email activity behavior. We can see optimal times to send emails to recipients, from the best day of the week to the best hour that day, based on that user's actual activity. This insight is incredible from a 1:1 sales communication side, and even better from a lead nurturing perspective. 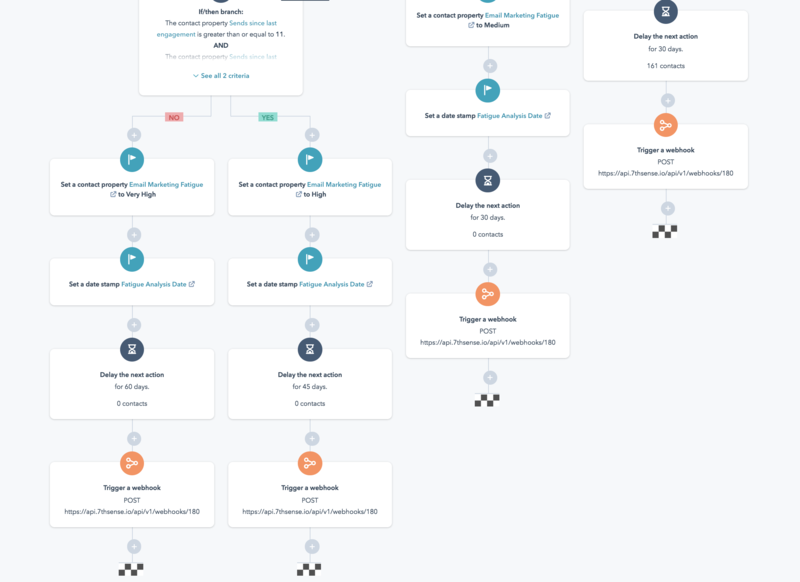 Seventh Sense, with the help of HubSpot, allows marketers to create workflows that send emails to a large database of contacts at optimal times for each individual contact in that database, within a set amount of time (a day, week, month, etc..). Since our best marketing activity for registrations came from our email marketing efforts, this tool felt like a huge opportunity for our client, and we eventually partnered with Seventh Sense because of this opportunity. I’m one of those marketers who feels comfort in the numbers. Without statistics to justify your marketing activities, you’ll never know if your efforts are really working. I loved this quote from Mike because it helped put out a fire in my brain that is always trying to downplay the real impact of the success we generate. I kept this quote with me as I continued analyzing the numbers of our email marketing efforts for Thunderbird. The open rate increase is the most glaring impact by looking at the numbers, but what does this mean for our client? Through our email marketing efforts we were able to get in front of more leads at a time when they were most ready to engage with the content we sent them. A 17% increase in click-through rate indicates to us that email recipients are engaging with our email content and taking the next step to receive additional information and potentially register for the luncheon through the website. We can’t say for sure where they were in their buying process, but by increasing engagement, we continued to stay top of mind for those leads, who may be ready to register for a luncheon at a later date. This data gives us context to further segment leads for future email marketing campaigns. The statistic that directly impacts Thunderbird’s bottom line is the registration increase per email: 1.25 Registrations per email prior to Seventh Sense to 2 registrations per email with Seventh Sense, a 60% increase. This is truly an impact for our client.